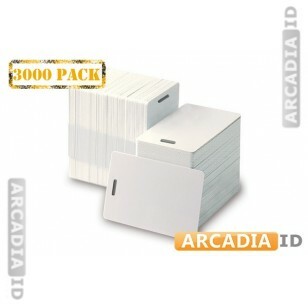 Order to receive 3,000 blank ID cards designed to be used with a vertical orientation. These offer a fast and effective way to create vertical cards while the slot at the top is great for attaching with a lanyard or a badge reel. For more high quality photo ID materials and more be sure to explore the rest of the site.